From 11 July 2018, in the exhibition hall of the Transcarpathian Museum of Folk Architecture and Life, one can see the works by Ivan Silvai and his son Sion. 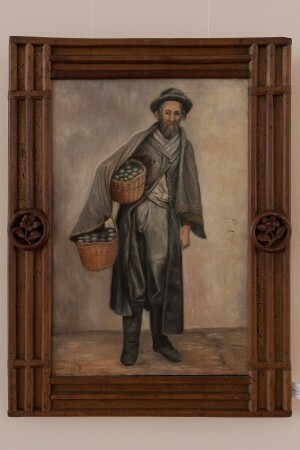 Among the 25 presented works, 8 belong to the father and 17 – to his son. 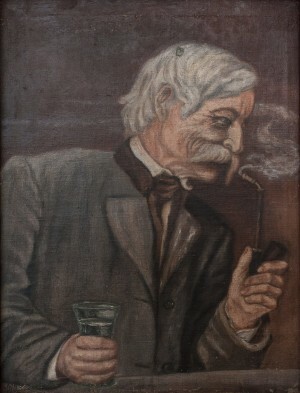 Ivan Silvai is a famous Transcarpathian writer, ethnographer and folklorist, priest. 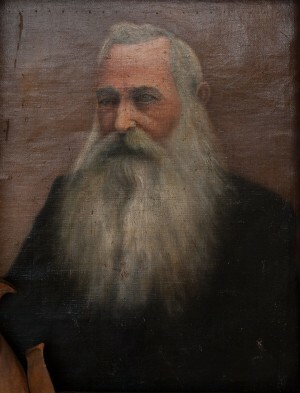 He was born on 15 March in 1838 in Suskovo village in Svaliava region, died in 1904. 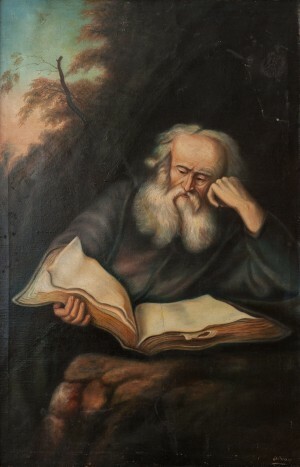 He wrote poems, ballads, stories, novels, fables, plays, journalistic articles, ethnographic essays, church sermons, noted folk songs and carols. His son Sion (1876 – 1932) was known among the cultural and educational workers of Transcarpathia of the late 19th - the first half of the 20th century as a poet and playwright, an artist and woodcarver, composer and conductor, master of musical instrument making. 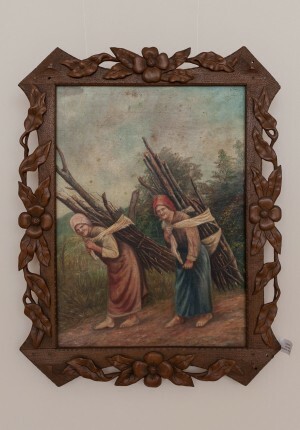 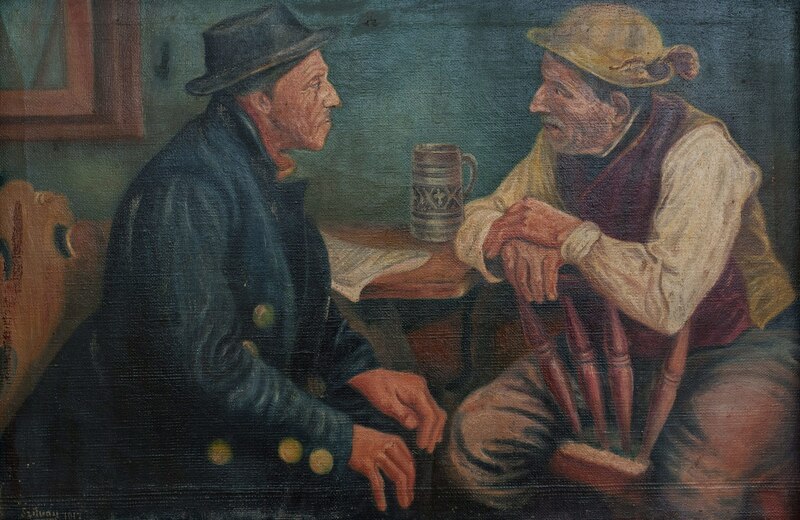 As the academic secretary of the Transcarpathian Museum of Folk Architecture and Life Oksana Zeikan told, a unique collection of wood carvings and paintings by Ivan Silvai and his son Sion Silvai joined the collections in 1980. One of the descendants of the artist, Kostiantyn Silvai, donated them to the museum for permanent storage. 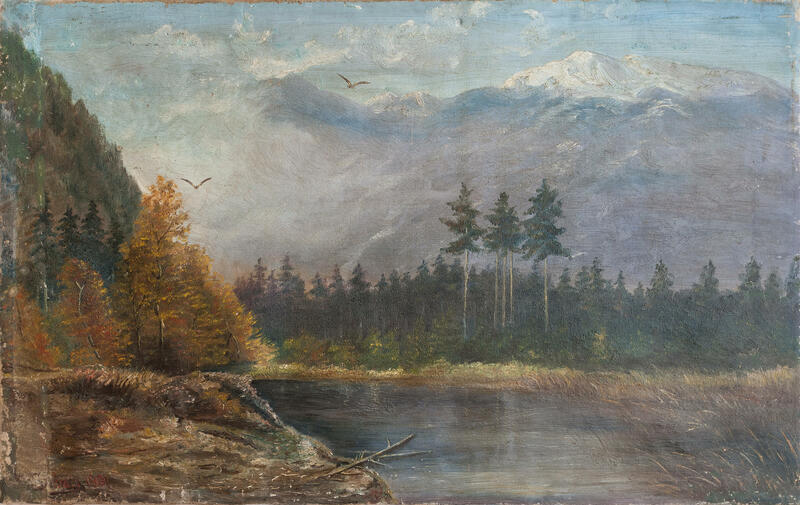 In general, the collection includes paintings, woodcarving and writings. 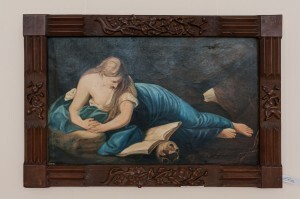 A part of the unique artworks is now presented to the viewers. All 8 works by I. Silvai are created in oil on canvas. 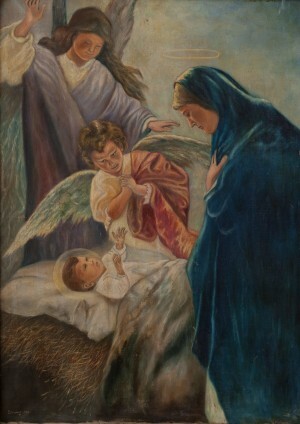 They mainly depict everyday motifs, there is a portrait and works on religious subjects. 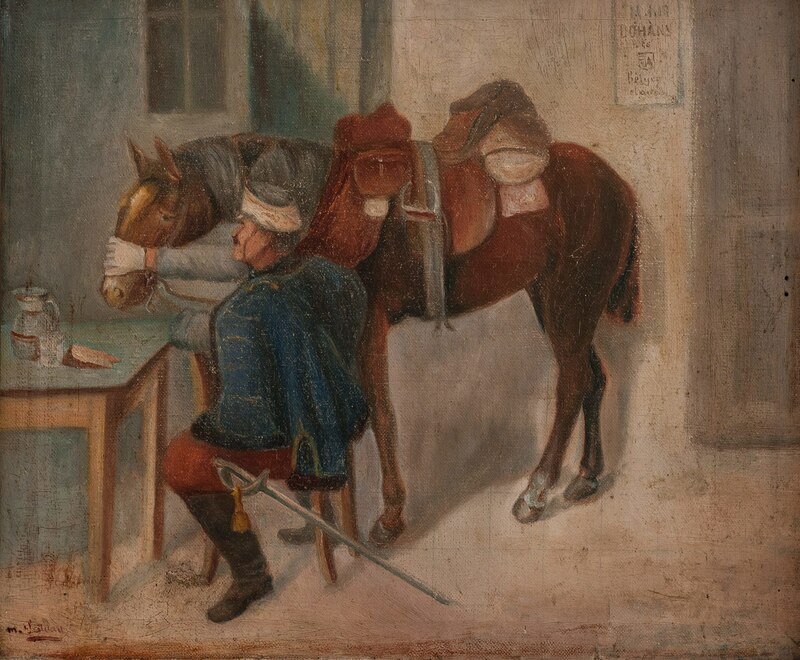 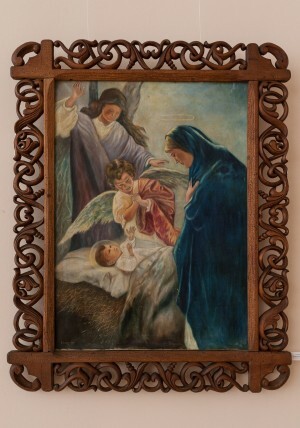 Among the paintings, it can be singled out the work “Three” both by technique and decorative solution of the frame. Expression, movement, and mood distinguish this work among others. 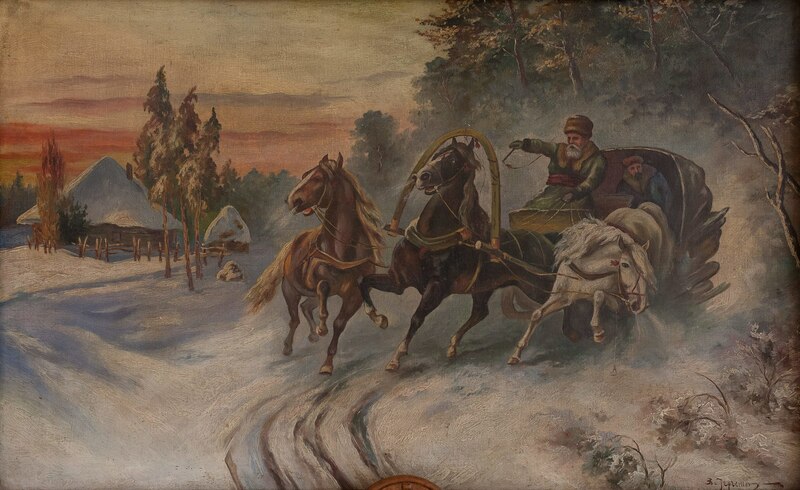 In the foreground, there is a trio of horses literally “flying” over the snow-covered field. 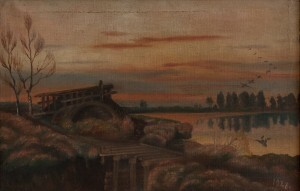 In the background – the outskirts of the forest and a hut with a haystack in the light of the evening sky. A special attention should be paid to the decoration of the painting: a quadrangular frame with arcuate protrusions is decorated with the attributes of the harness. 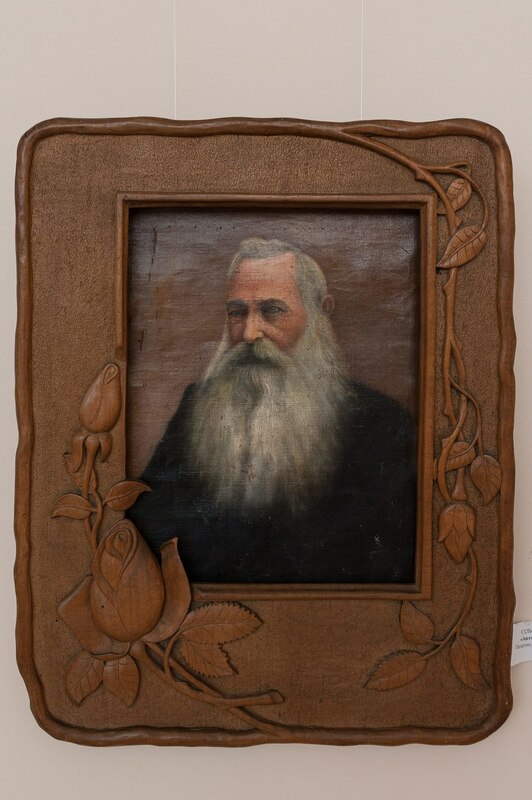 So, in the centre of the upper part of the frame, it is attached a half-round plate cut out of a single piece of wood with wavy contours and eleven through holes. In the centre of the bar, there are two bells and a decorative brush – the harness was usually decorated with such things. 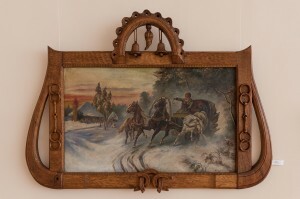 The sides of the frame are decorated with bridles and stirrups carved from a single piece of wood. 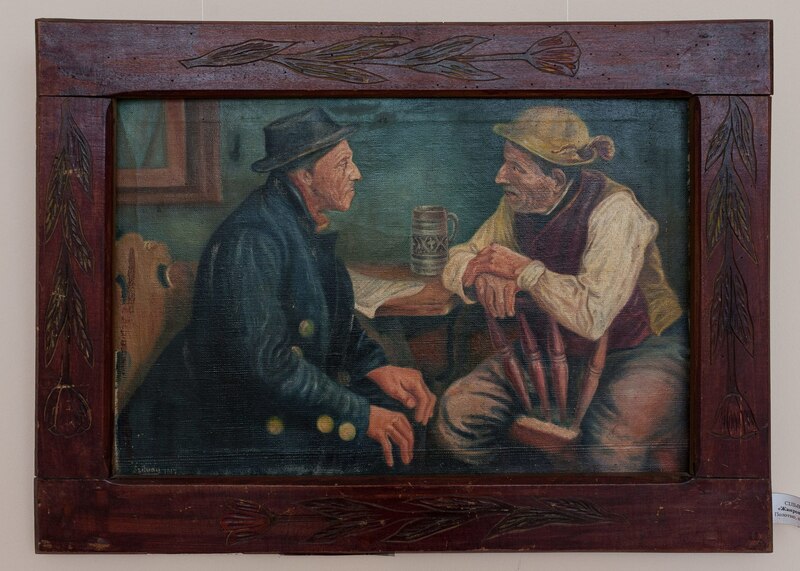 And three horseshoes are attached to the bottom of the frame. As noted by art historians, preparing a frame I. Silvai closely connected a storyline of the paintings with the decorative elements of the frame. 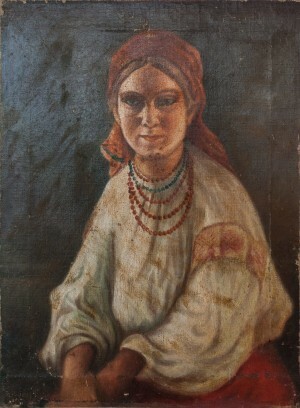 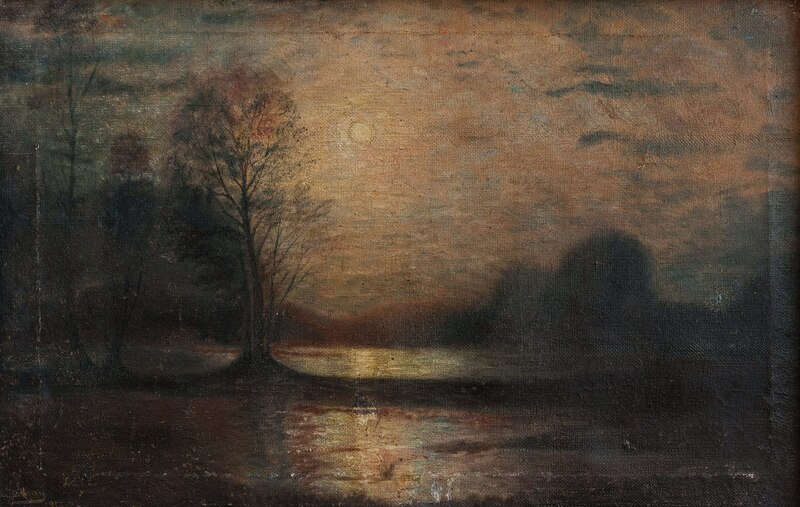 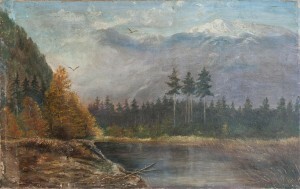 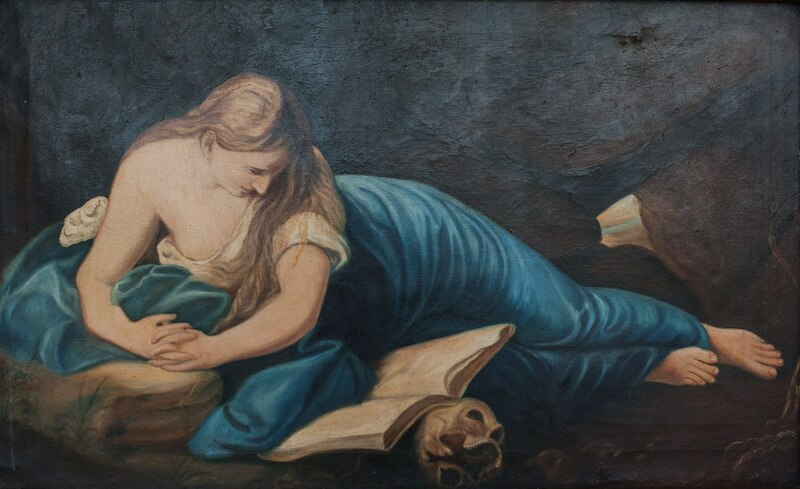 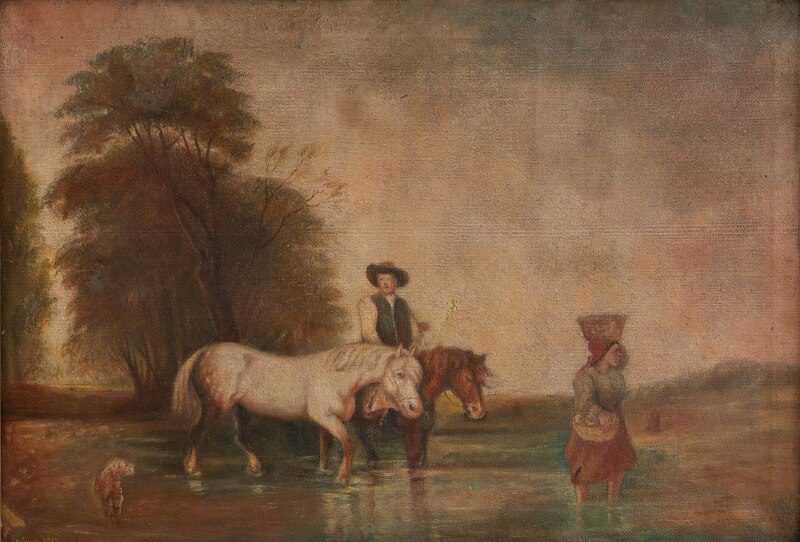 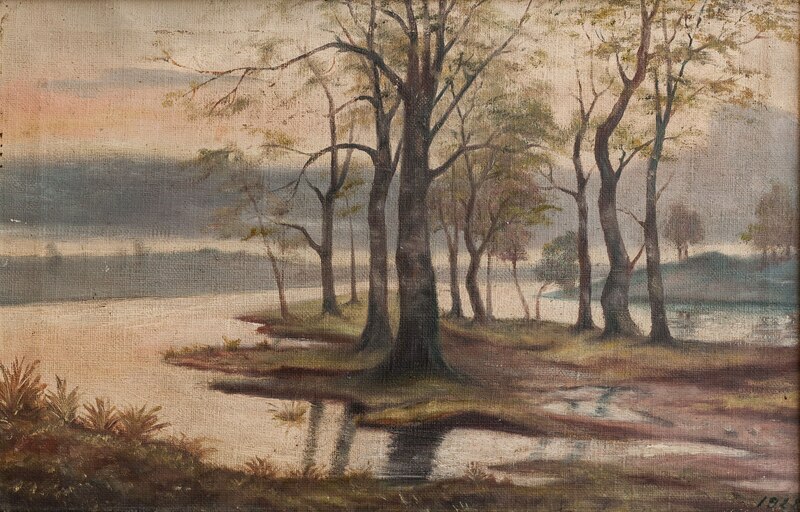 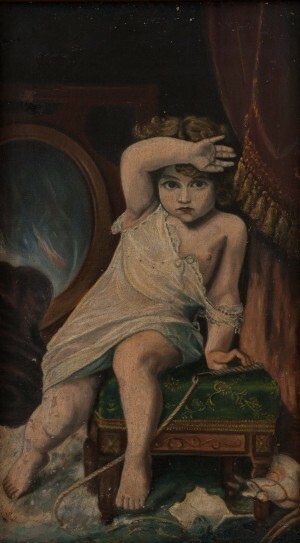 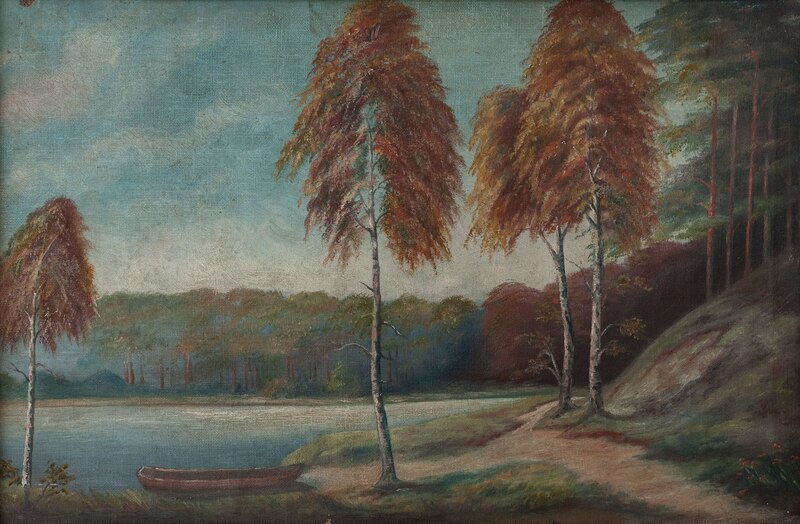 All paintings from the collection of Sion Silvai were created in oil on canvas. 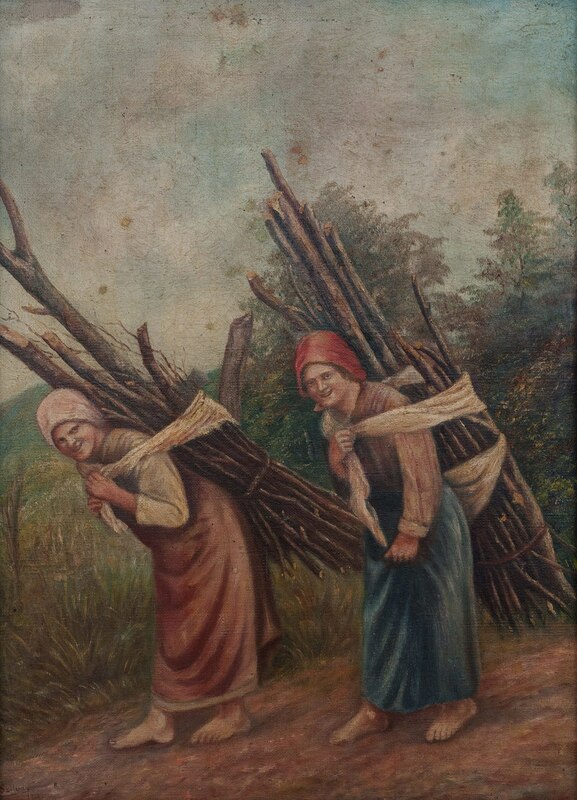 Among the masterpieces, there are portraits, landscapes and everyday scenes. 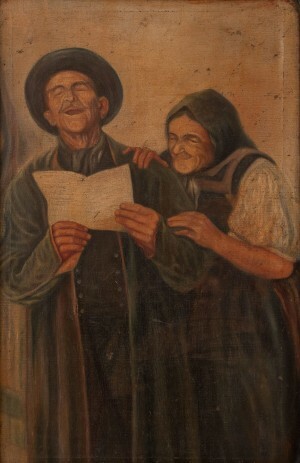 The artist aptly conveyed the mood of the characters, their feelings at the moment when the artist saw them. 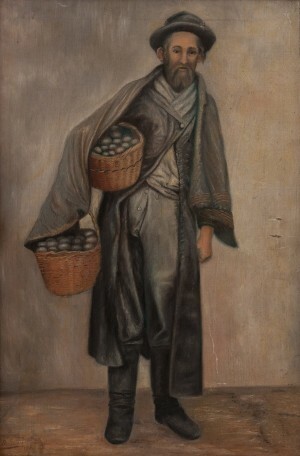 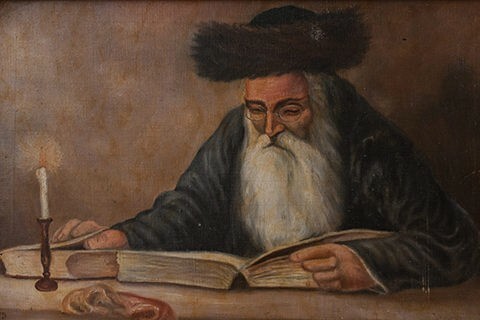 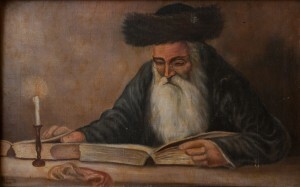 The portraits depict an old man reading a book; a Jewish merchant carrying two baskets with eggs; a rabbi with a white beard reading the Talmud; an old grandfather who smoked a pipe, holding it in his left hand and holding a glass of wine in his right hand. 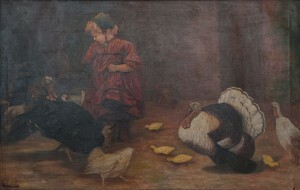 With great trepidation, the artist depicted children (“A Girl with turkeys” “Frightened child”). 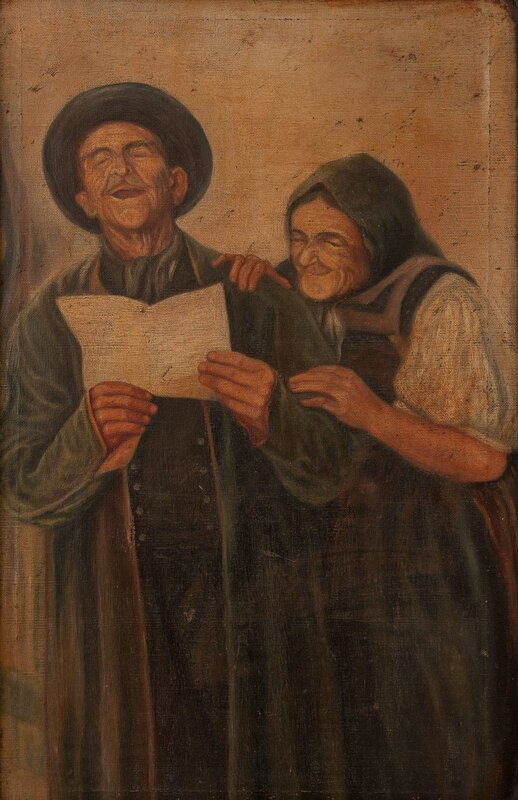 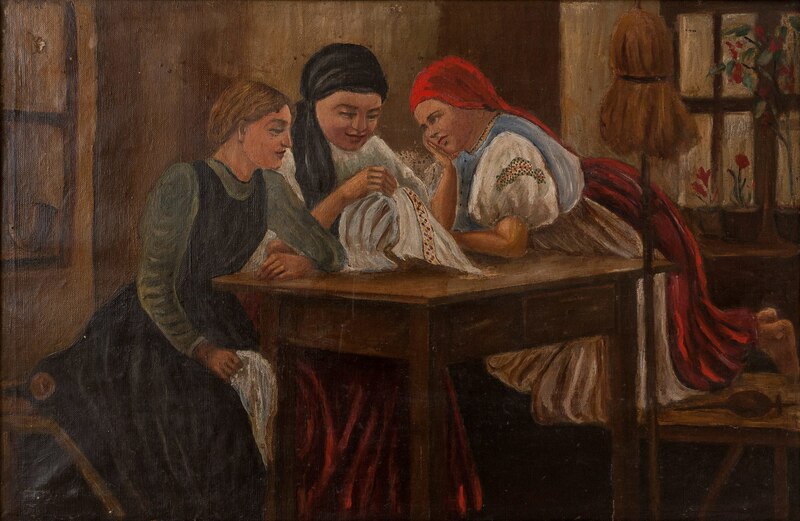 In general, as the experts of the Transcarpathian Museum of Folk Architecture and Life note, the works of the Silvai, which are stored in the collection, amaze with the richness of the decor on various items, the variety of folk-household plots, the use of allegorical phenomena, objects, and symbols. 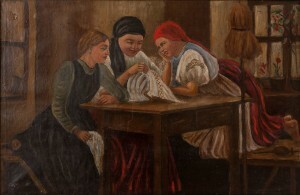 The exhibition will last for at least a month, so everyone can see these works of art.